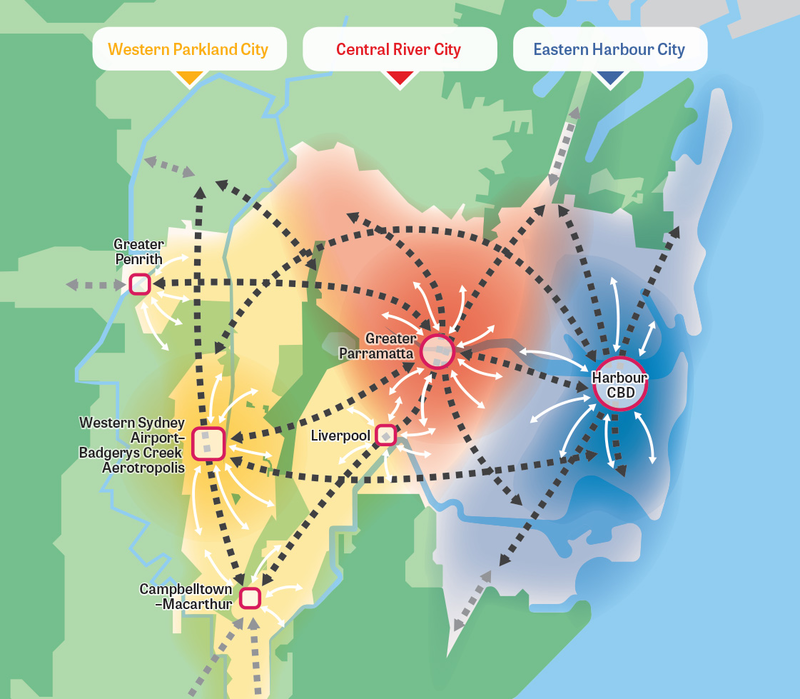 A Metropolis of Three Cities the region plan for Greater Sydney is built on a vision of three cities where most residents live within 30 minutes of their jobs, education and health facilities, services and great places – Western Parkland City, Central River City and Eastern Harbour City. 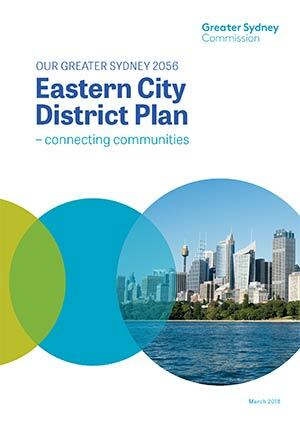 This vision seeks to rebalance the economic and social opportunities and deliver a more equal and equitable Greater Sydney. Greater Sydney’s three cities reach across five districts: Western City District, Central City District, Eastern City District, North District and South District. The Eastern City District is at the centre of the Eastern Harbour City with the Harbour CBD, as its metropolitan centre, Australia’s global gateway and financial capital. Well-established, well-serviced and highly accessible by its radial rail network, the Harbour CBD has half a million jobs and the largest office market in the region. The Eastern Economic Corridor from Macquarie Park through the Harbour CBD to Sydney Airport is the State’s greatest economic asset – contributing two-thirds of NSW’s economic growth in the 2015-16 financial year. Sydney Metro Northwest links Rouse Hill to Chatswood, Sydney Metro City & Southwest connects Chatswood to Sydenham-Bankstown. Sydney Metro West will provide faster travel to Greater Parramatta. New Metro stations will improve access in the Harbour CBD and support urban renewal in Waterloo. The CBD and South East Light Rail connects the Harbour CBD to the Randwick health and education precinct. Major transport investments and investigations are underway across the District; road based, rail and light rail to support the ongoing strengths of the District. Collaboration Areas include health and education precincts at Camperdown-Ultimo and Randwick, and a sustainability initiative at Rhodes East. The Eastern City District will continue to grow over the next 20 years with demand for an additional 157,500 dwellings. This will be provided through urban renewal around new and existing infrastructure and infill development. The focus of growth will be on well-connected walkable places that build on local strengths and deliver quality places. The Harbour CBD will be supported by an emerging Innovation Corridor on its western edge which includes universities, a teaching hospital, international innovation companies and fast-growing start-ups. Industrial lands will be retained and support productivity and growth. An integrated approach to the green infrastructure of the District – waterways, bushland, urban tree canopy and open spaces – will improve sustainability. The Greater Sydney Green Grid will provide cool, green links to support walking, cycling and community access to open space.